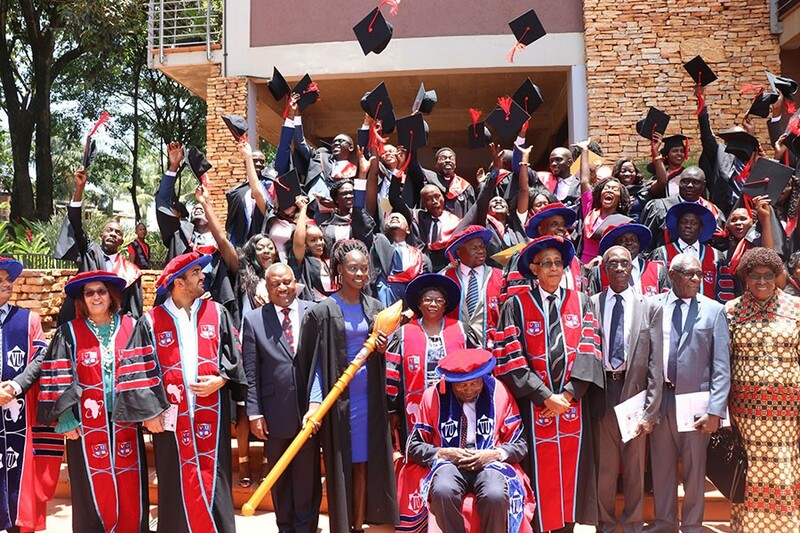 Emmanuel Katongole, the Executive Chairman of Cipla Quality Chemical Industries Limited has urged graduates to work hard and emulate entrepreneurs like him if they are to succeed in life. “After university I got a job but I felt unsatisfied and ventured into business. 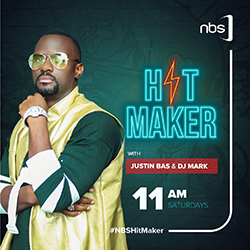 I then started Quality Chemical Limited that was located in Katwe that was referred to as Uganda’s biggest slum. I never cared,”Katongole said during the third graduation ceremony for Victoria University at Kabira country club on Friday. “However much they said of my business being in a slam, I didn’t care as long as I had good quality products. Later, my company became the largest pharmaceutical manufacturing entity in Africa. Cipla Quality Chemical Industries Limited Executive Chairman reminisced his days as a born of a poor family whose first time to board a vehicle was when he was 15 years while he had joined secondary school at Namiryango college. Katongole, who described himself as a humble businessman with passion to do good to humanity said that he defied all odds to become a successful entrepreneur, asking graduates to emulate him in their daily lives. 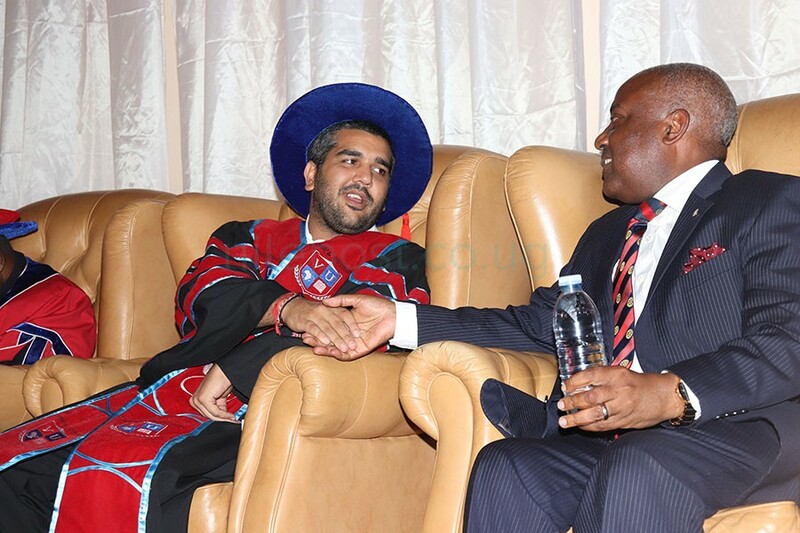 Rajiv Ruparelia shares a light moment with Emmanuel Katongole. He asked the gruaduands to always be innovative and enterprising so as to stand out among the many people who graduate in various fields. “Identify your strengths and out them to good use for your own development. Say no to dependency and use the ideas at your disposal to the maximum to become successful,”Katongole said adding that had it not been his innovativeness, he would not have been able to set up Quality Chemical Limited. The businessman, however urged government to come in handy to assist universities and other institutions of higher learning in their efforts to transform the country. The Victoria University Chancellor, Dr.Martin Aliker said the university that started in 2010 before being taken over by the Ruparelia group is striving to be distinct from other institutions of higher learning. “We must prove our superiority through the products we release to the field. We should be able to produce people who can think critically and analyse issues, a thing not many universities or institutions of higher learning can do,”Dr.Aliker said. 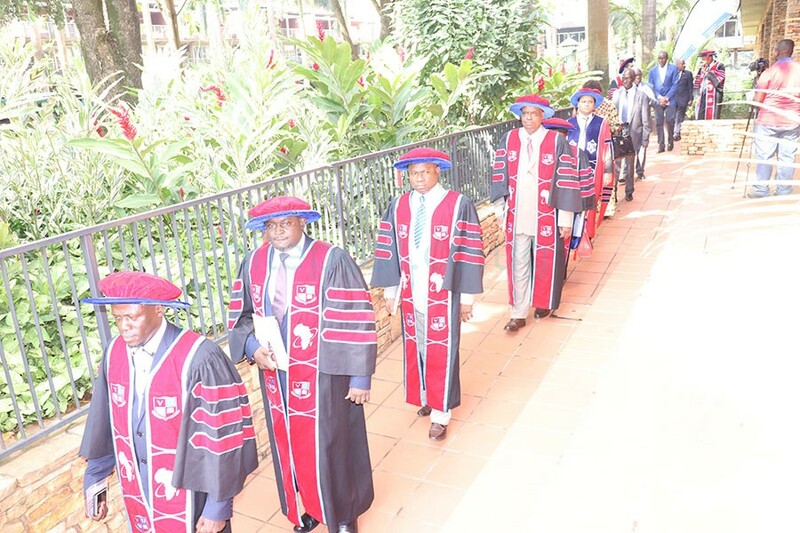 Over 50 students graduated with Bachelors’ Degree and Diplomas in various fields including banking and finance, oil and gas among others during the Victoria University third graduation.